The eight display boards presenting content from the draft plan at the open house have now been added to the project website: www.winnipeg.ca/ppd/Corydon. They can be found under the What's New sidebar. What are the elements that you like best about the draft plan? What elements of the plan do you disagree with, if any, and why? 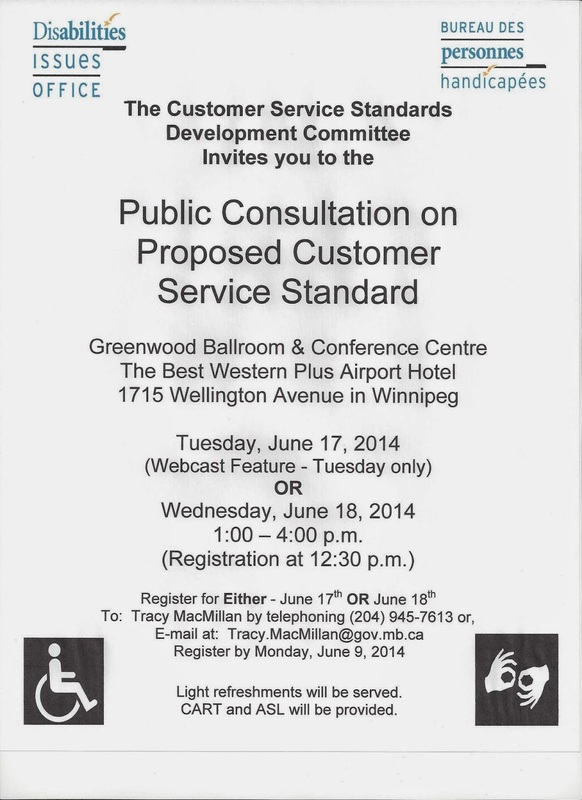 Send your responses to ppdCorydon@winnipeg.ca. Thank-you. 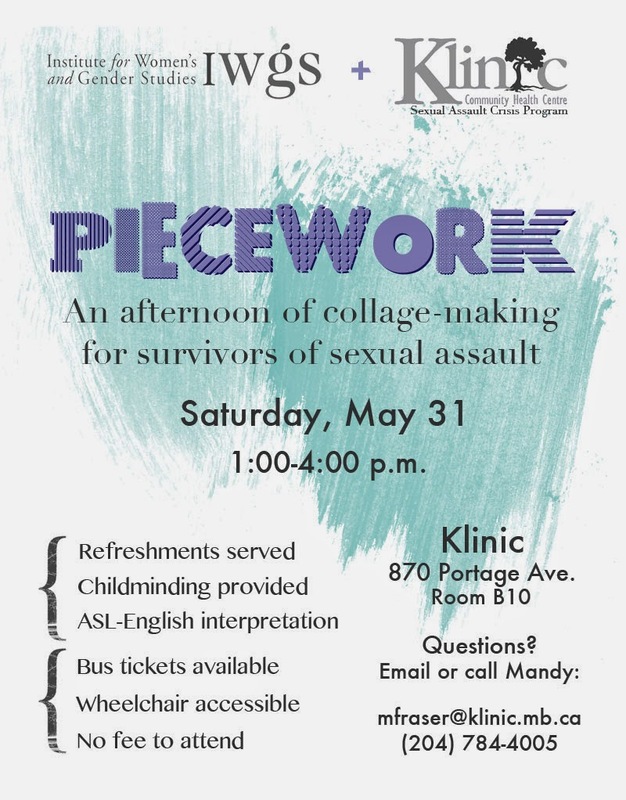 We invite survivors of sexual assault to come together in a safe(r) and supportive environment, to work through being a survivor via the creative, accessible cut-and-paste art form of collage. The goal of this event is to empower survivors of sexual assault to engage with the possibilities of healing through creativity, art and self-expression, while helping to ease the painful isolation of survivorhood by gathering in a community space. AVLIC 2014 Film shoot available for all leading men, Hollywood starlets, child stars and thespians! After the tremendous success of the MAVLI AVLIC 2014 Conference bid video that was filmed here in Winnipeg, MAVLI is currently planning another film shoot for the AVLIC 2014 Conference trailer, and we are looking for actors and extras to don costumes star in our video. 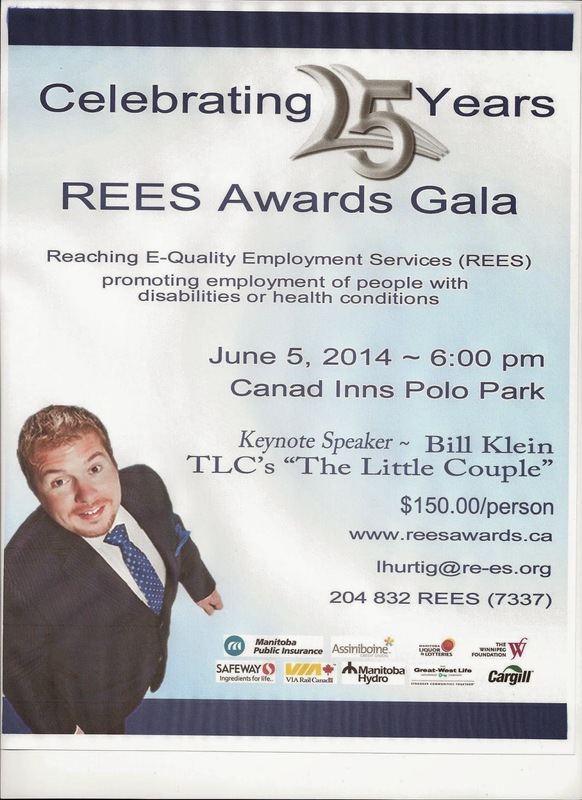 Filming will take place on May 29, 2014 at 8:00pm at the Hotel Fort Garry. 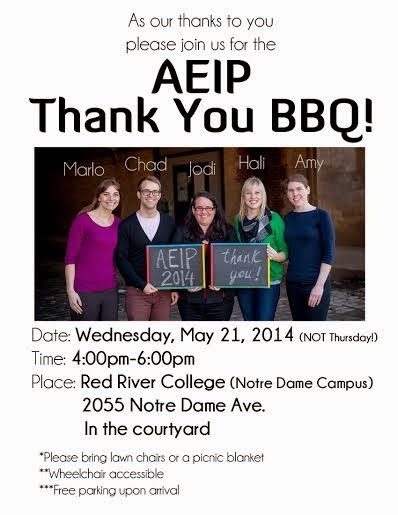 If you are interested in volunteering, please email volunteering@avlic2014.com before May 27th 2014. Attention for Deaf Artist as this invitation letter is for you!! 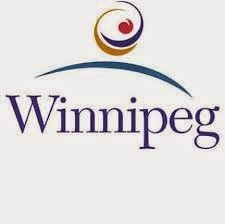 The AVLIC 2014 planning committee would like to invite Deaf artists throughout Manitoba to participate in a Deaf Art Show during the AVLIC 2014 conference being hosted in Winnipeg. 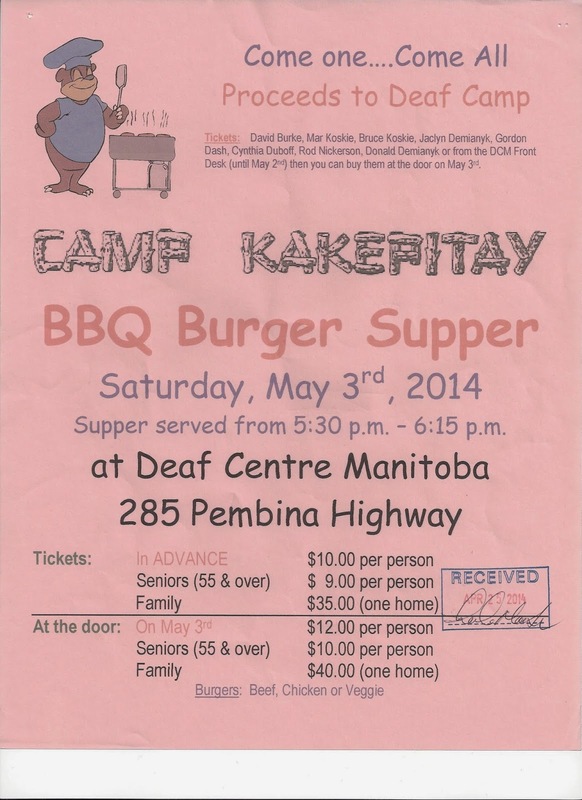 Please click on the link to watch "Invitation to Manitoba Deaf Artists"
*Artist also have the option of selling their work on the premises. Here's another chance to show your art! 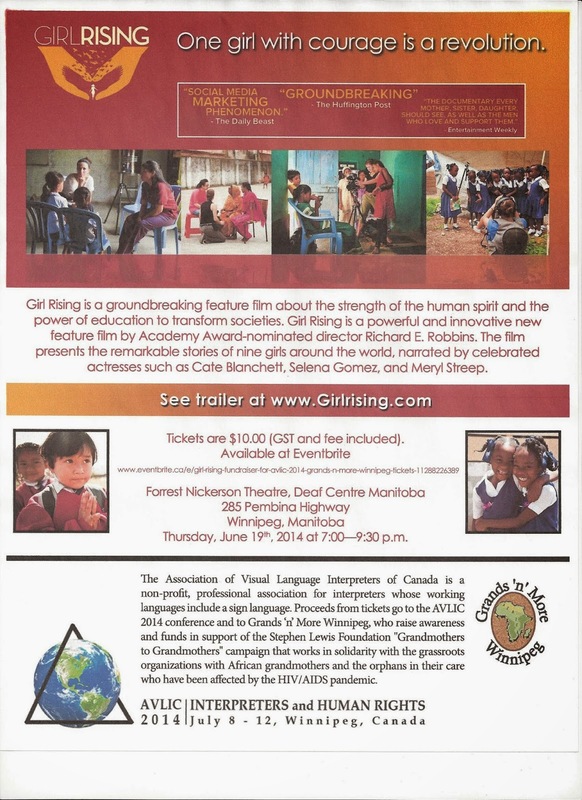 AVLIC is having their world conference here in Manitoba the week of July 8th. They support Deaf Artists to show and sell their art work. WHAT: Show some of their artwork. Artists can also sell their work. Please pass the word to other Deaf artists, that includes photographers! 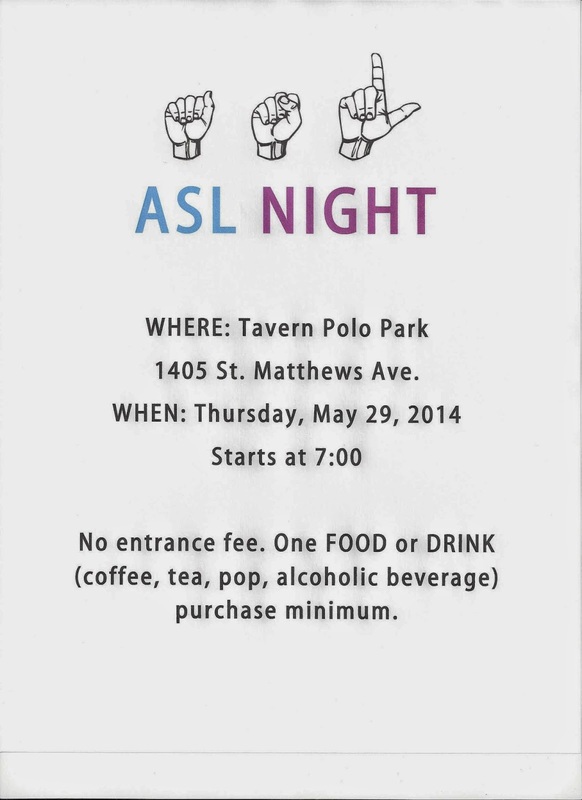 I would like to announce that I am now organizing Deaf Walk Club (DWC) every Tuesdays evening. I will make new schedule events starting from June to September, 2014. 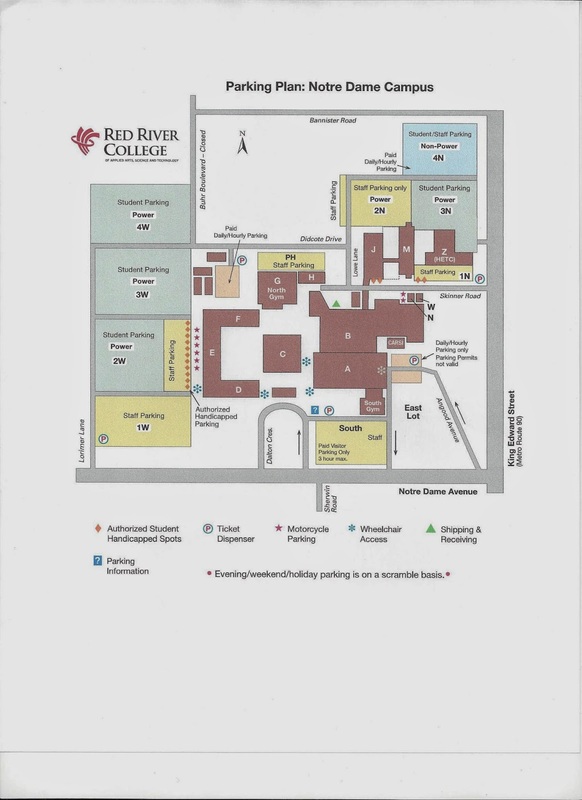 You will receive the new schedule on Tuesday, May 27th. Hike: Little Mountain trail - 3.5 km approx 45 minutes to 1 hour. Meet us at parking lot on Farmer Avenue off 90 Route turn West for 6:30 pm. Deaf Resource Centre (DRC) will be closed on Monday, May 19th due to Statutory holiday- Victoria Day. 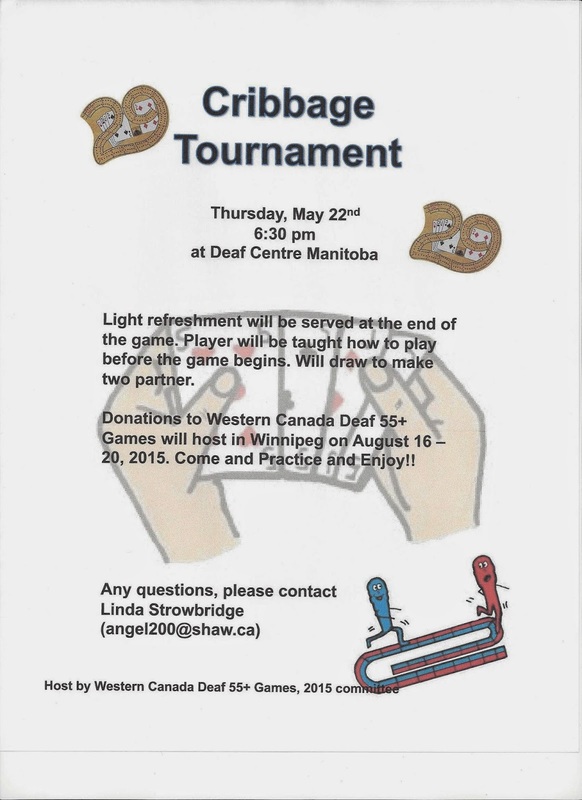 We will re-open on Tuesday, May 20th at 9:30 a.m.
Manitoba Deaf Golf Club (MDGC) news about Golf league every Weds! 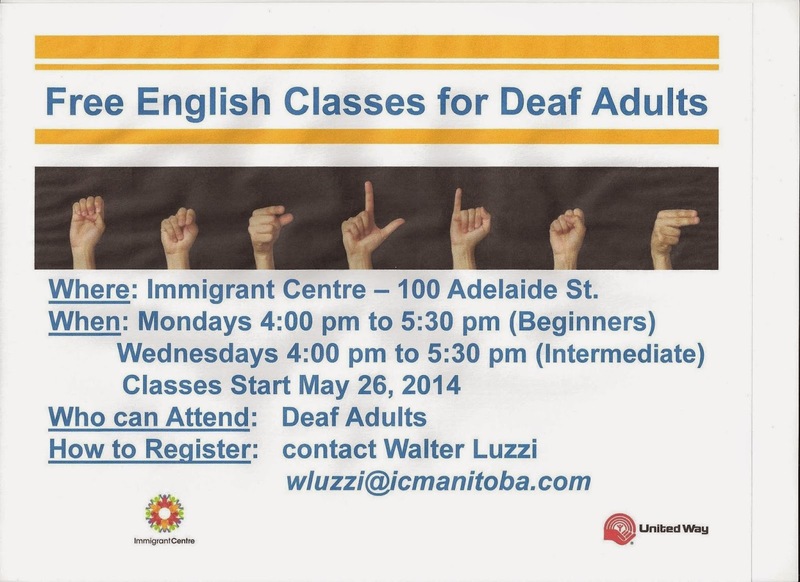 Please find attached the ad of our upcoming English for Deaf Adults' program. Candidates can contact Walter directly by email wluzzi@icmanitoba.com to set up an appointment for a language assessment before registration. Feel free to forward this email and attachment to those you may consider interested in taking this program. 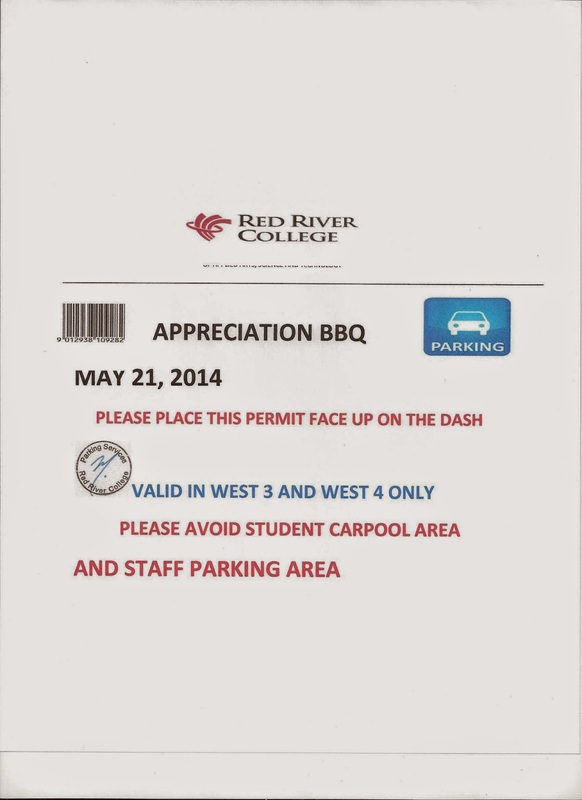 Please print out both paper in order to get free parking for AEIP BBQ Appreciation Night on May 21st! Mother's Day message for all Mothers in Deaf Community! It is for all Mothers in the Deaf Community. I hope you all will have an enjoyable special weekend for Mother's Day. 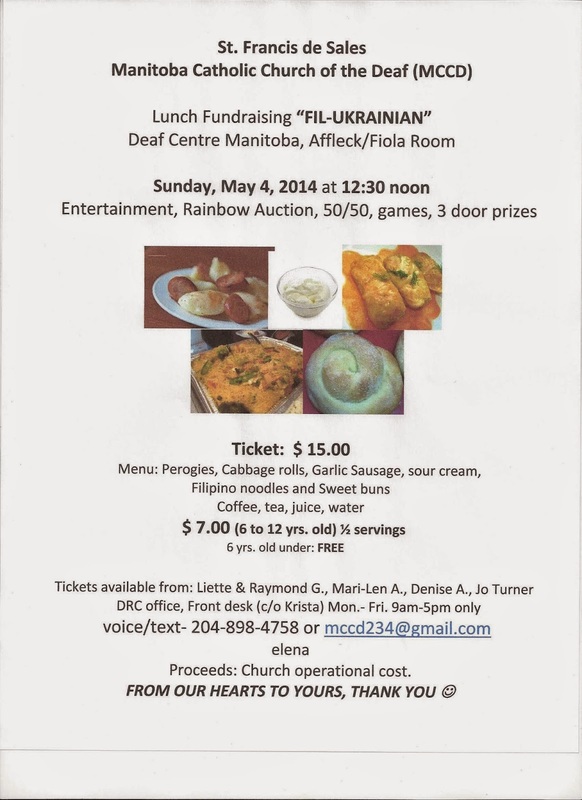 If you would like to purchase tickets at the door, please contact Brenda and/or Joseph at bdstanley@shaw.ca / jgcomte65@rogers.blackberry.net to secure your names on the list. 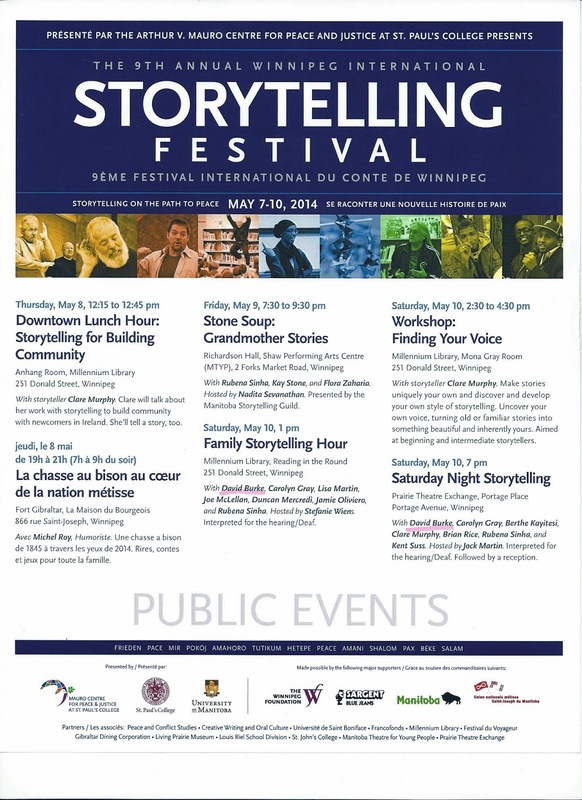 9th Annual Winnipeg International Storytelling Festival!! 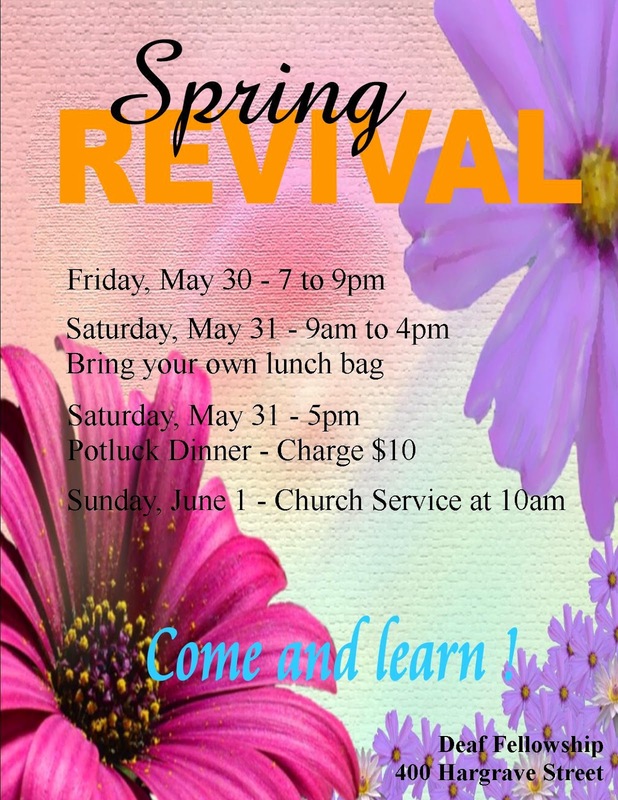 Be advised that Saturday, May 10th at 1 p.m- David Burke is one of the group storyteller that will be there. It is good for the family!! 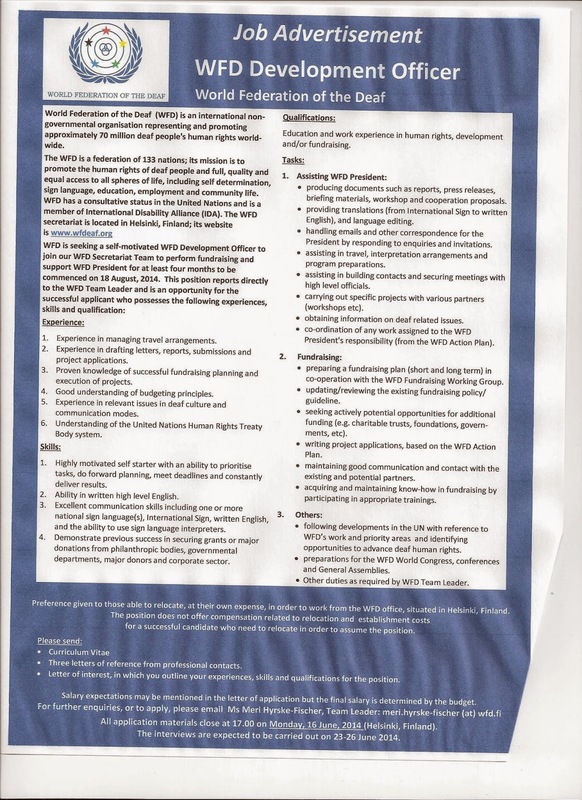 An interpreter will be provided! Saturday, May 10th at 7 pm- Adult only for Night Storytelling with David Burke along with other presenters. An interpreter will be provided ! 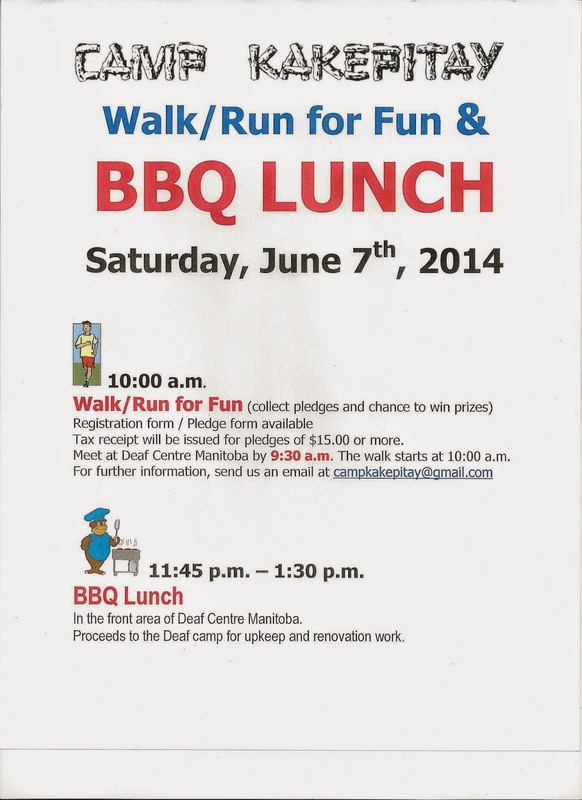 If you are interested to go, please RSVP me by email- deafmb@shawbiz.ca by this Thursday, May 8th. Manitoba Cultural Society of the Deaf (MCSD) would like to inform you all that they had an interview with Dame Glennie (Deaf percussionist from Scotland). They had special invitation with 15 Deaf people to join along with her on the stage. 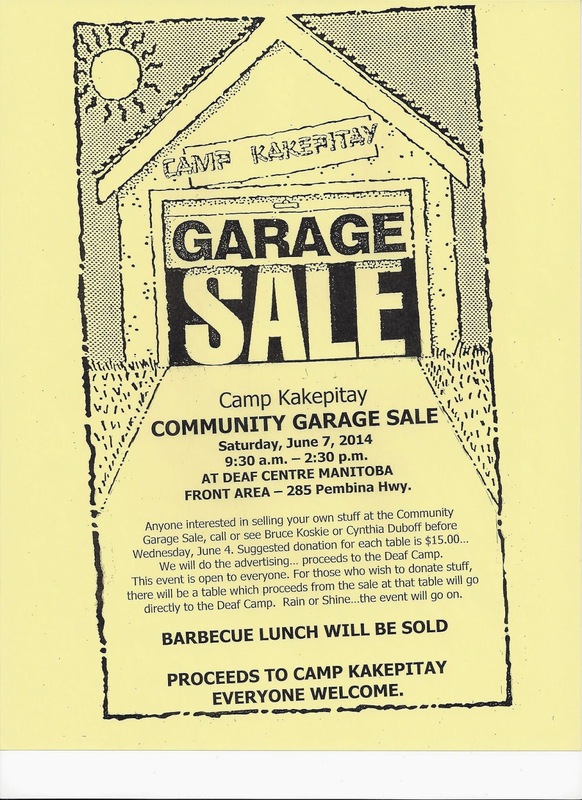 Global TV-On Focus Manitoba on Saturday May 9th and Sunday, May 10th at 6:30 p.m.
Camp Kakepitay Walk/Run for Fun & BBQ Lunch- June 7th!